2015 was a great year for Asian basketball, and there were certainly more than enough highlights from Asian basketball to talk about till after the smoke from fireworks of the new year have cleared. Milestones were set, debuts were made, and stars shone, while, on the other end of things, some expectations were not met and hearts were broken. 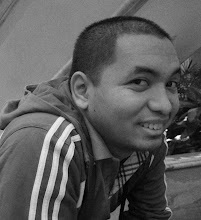 It was a year of golden moments and moments that are better left in the dustbin of memory. In Part 1, we looked at the top stories from the U16 level, the Women’s Championship, the first Indian-born NBA player, and Japan’s resurgence. 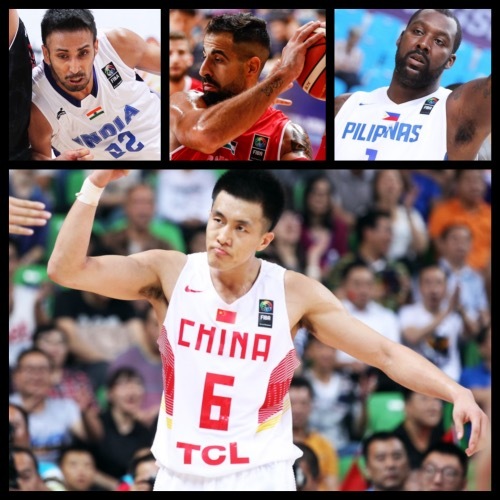 In this second and final part, we will look at eight more gripping accounts to complete the top fifteen FIBA Asia basketball stories of 2015. Many tagged the Philippines as hands-down title favorites this year owing to the fact they would finally have former NBA big man Andray Blatche playing at the Asian level and the fact that bemedalled coach Tab Baldwin, who once helmed New Zealand to a top four finish in the 2002 FIBA World Cup, would be calling the shots from the sidelines. On paper, Gilas Pilipinas, despite some notable omissions, were brimming with talent. Blatche was among the tournament leaders in points and rebounds in the 2014 FIBA World Cup, and he also played quite well this year, putting up 17.8 points and 9.2 rebounds per outing. Gilas, however, couldn’t bring home the gold after losing to China in a hotly-contested Final. Consequently, Coach Tab is currently training his squad for a shot at redemption as they hope to make a splash in one of the 2016 Olympic Qualifying Tournaments (OQT). China dominated for long stretches against a cold-shooting Philippines in the Final of the 2015 FIBA Asia Championship to win the title and qualify for the Rio de Janeiro Olympics. The Chinese completed an unbeaten run in Changsha-Hunan with a 78-67 triumph over a proud Filipino side for their 16th title in the competition. Former NBA player Yi Jianlian was named the tournament's Most Valuable Player after averaging 16.7 points, 8.8 rebounds, 1.4 assists, and 1.2 blocks per game on top of 52.9 percent field goal shooting. It was a great bounce back performance for China, which bowed out in the Quarter-Finals two years ago in Manila. India turned a lot of heads two years ago with their size, length, and athleticism. Last year, they shocked the continent when they beat China in the 2014 FIBA Asia Cup. This year, the lone South Asian entry to the senior men’s tournament continued their rise by making the competition’s Quarter-Final round for the first time since 2003. Big men Amjyot Singh and Amrit Pal Singh, along with spitfire guard Vishesh Bhriguvanshi, are at the forefront of this basketball resurrection in India, and they will have to carry the weight of bigger expectations in the coming years. There was a time Lebanon were mentioned in the same breath as China and Korea in terms of dominating Asian basketball. That era has long passed, but the Cedars’ highly-anticipated return to the FIBA Asia Championship was met with cheer and excitement. Coach Veselin Matic’s wards responded to the challenge with aplomb, winning 5 of their 9 games, making the Quarter-Finals, and finishing among the tournament’s top five teams. By virtue of that, Lebanon actually still have a small shot at making the 2016 Rio Olympics should an Asian country be chosen to host one of the 2016 OQTs (note: The Philippines are in the running). Kudos should go to players like Jay Youngblood, Bassel Bawji, Ali Haidar, and Wael Arakji. 2015 saw many new beginnings, rising stars, and watershed moments, but it also saw the end of the international careers of two iconic Asian stars: Lin Chih-Chieh of Chinese Taipei and Fadi El Khatib of Lebanon. Both have had storied careers in Asian tournaments and have certainly had shining moments. Lin was among the All-Star Five in the 2013 edition, leading Taipei to their first top four finish ever, while Fadi helped Lebanon become a top tier team in his prime. Now that both are in their mid-to-late 30s, Lin and Fadi are understandably more concerned about their health and professional careers (incidentally, both ply their trade in the Chinese Basketball Association). This surely played a part in their formally signifying their decision to step aside from playing for their countries in the future. They will definitely be missed, but this also means more opportunities will be opened for young, up-and-coming talents to rise up the ranks. Palestine were not expected to make a lot of waves this year, but the West Asian squad did the exact opposite. They advanced to the 2015 FIBA Asia joust for the first time in history, and, once in Changsha-Hunan, inspiring big man Sani Sakakini led his team to their biggest victory yet, upsetting title contender Philippines on the very first day. They continued to defy expectations and moved on to the second round, where they very nearly advanced to the Quarter-Finals. When the dust settled, Palestine finished a respectable 10th out of sixteen teams - an admirable feat considering it was their maiden effort. As of now, the country’s men's team is rated 75th in the world - the first time they have been able to break into the actual rankings. This, of course, was a product of the team’s collective passion, which fueled their drive to respectability despite the persistent context of uncertainty surrounding them. China’s triumph in the 2015 FIBA Asia Championship was largely brought about by the stellar play of their young stars, foremost of whom were Zhou Qi and Guo Ailun. Zhou was solid as Yi Jianlian’s sidekick in the shaded lane, using his long limbs to grab rebounds and alter opponents’ shots. Guo, meanwhile, used his praiseworthy offensive talents and unmistakable swagger to prop up his team’s chances of winning in every game. Most memorable, perhaps, was their critical connection in the endgame of China’s stirring comeback victory over Korea in the first round. Guo drove hard to the basket and then flicked a drop pass to the wide open Zhou, who jammed the ball through the hoop, giving the hosts the lead for good. Both were named to the tournament’s All-Star Five for their brilliance all competition long. Both the Philippines and China gave compelling arguments to be awarded the exclusive rights to host the 2019 FIBA World Cup, but, ultimately, China won the day with more superior infrastructure, a bigger local market, and greater long-term stability. The Filipinos’ trademark battlecry of #Puso (heart) tugged at the heartstrings, but it was hardly enough to address all the practical concerns and aspects of hosting such an event on a grand scale. This was the cherry on top of a banner year for the Chinese, who also took home two of the four continental crowns up for grabs (the 2015 FIBA Asia Women’s U16 and 2015 FIBA Asia Championship). It was definitely an amazing and memorable 2015 for Asian basketball, and things are bound to get even more exciting in 2016!